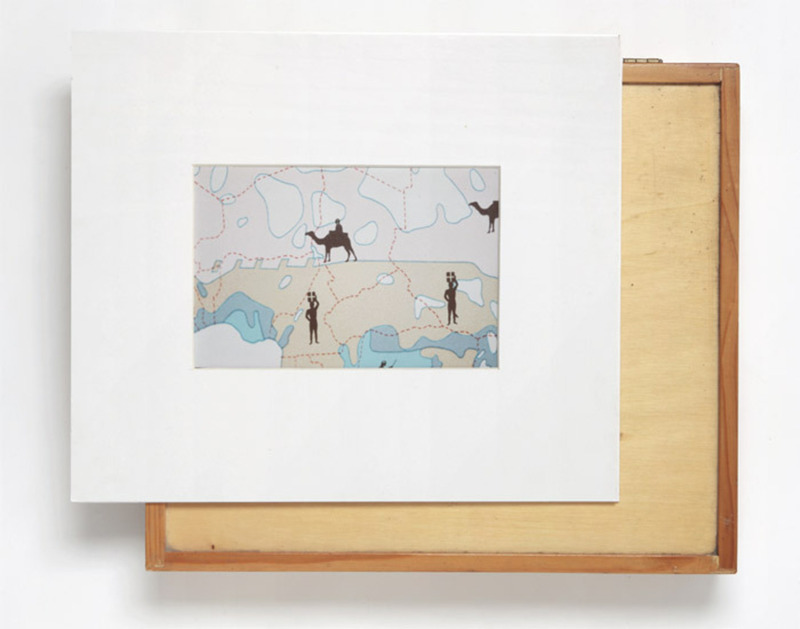 Luigi Ghirri, mock-up of a work from the series “Atlante” (Atlas), 1973, wood box, photograph with passe-partout, 12 5/8 x 15 x 2 1/4“ and 11 3/4 x 13 3/4”, respectively. In the 1970s, Luigi Ghirri began organizing small photographs he had shot by sorting them in boxes. At the end of the decade, this attitude toward categorizing in series would be nourished by a conceptual matrix that gave substance to his planning approach. The exhibition “Luigi GhirriProject Prints: Un’avventura del pensiero e dello sguardo” (An Adventure in Thinking and Looking), curated by Elena Re, focused on this aspect of the artist’s research, exposing the procedures and tools through which he began the various photographic series he created from the early 1970s until 1992.